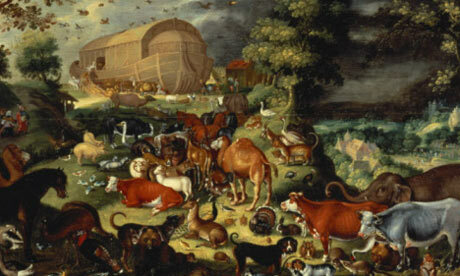 Animals entering Noah’s ark, by Dutch painter Jacob Savery II (photo credit: Getty Images, Bridgeman Art Library). Celebrating God’s Creation is a really good idea. But do we need a “March for Science” to celebrate? Let me share with you my opinion. While I am at it, another fairly short editorial blog post…. Classic, historical Christian faith has consistently taught that there are “two books” of God’s revelation. First, we begin with the “book” of Scripture, that the Bible is the inspired Word of God, useful for teaching, rebuking, correction, and training in righteousness (2 Timothy 3:16). That same Bible also affirms the “book” of nature, as the invisible attributes of God, namely his eternal power and divine nature, have been clearly perceived, ever since the creation of the world, in the things that have been made. People are without excuse… whether they have access to a Bible or not (Romans 1:20). As a computer engineer, with a keen interest in science, and a Christian, I have wrestled with the relationship between the Bible and science for years. But the conclusion is clear. The evidence in Scripture and outside of Scripture both point in the same direction. 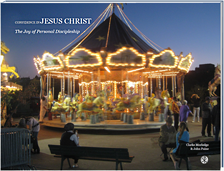 Both the study of the Bible and the study of science act as independent witnesses that to speak to the same truth of God in Christ. Sadly, we live in an age when many people, including more than a few Christians, are confused about this. In a culture enamored with supposedly “scientific” claims, many make assertions in the name of “science,’ but such “science” has not been sufficiently peer reviewed, nor properly fact checked. As a result, many say we live in a “post truth” culture, where “alternative facts” win out over genuine facts. I fully support the concept of making more people aware of the value of genuine science, and building communities of people, particularly in our churches, who care about the pursuit of truth found in God’s Creation. However, I am also concerned that a “March for Science” might send the wrong signal. It might suggest that science is yet just another partisan voice in an already too divided, politicized world. Much of the same can be said about the message of the Bible, and how the Gospel has at times been too closely identified with a political movement. Christians should be known as people who value truth, above all else. You will know the truth, and the truth will set you free (John 8:32). Science is a friend of the Gospel, and not an enemy. We do no favors by politicizing either. This entry was posted on Saturday, April 22nd, 2017 at 8:55 am	and tagged with bible and science, Earth Day, march for science and posted in Topics. You can follow any responses to this entry through the RSS 2.0 feed. « “Bible Answer Man’s” Critics Follow-Up: Mormonism More “Thoroughly Biblical” Than Eastern Orthodoxy?